Product categories of TW Type Welding Torch, we are specialized manufacturers from China, TW-200 Mig Torch, TW-300 Welding Torch suppliers/factory, wholesale high-quality products of TW-400 Welding Torch R & D and manufacturing, we have the perfect after-sales service and technical support. Look forward to your cooperation! The TW Type Welding Torch has several types ,the 180A ,200A ,300A ,400A ,500A ,you can choice them according to the rating ,the duty cycle and the wire size you use . 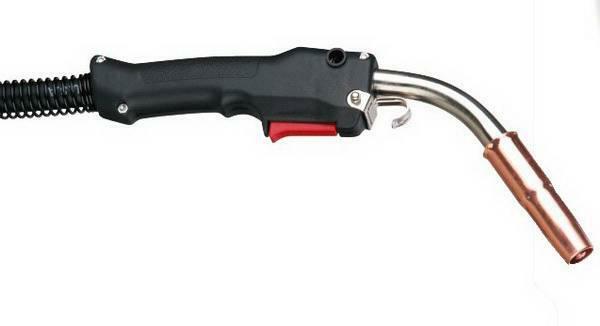 By the way ,the TW series welding torches has improved by our company and techicial . 1. Novel design of main body inside of handle is convenient to install and transform different angles. 2. The new design with Japan Omron switch reduces failure rate to 1/10000. 4. Consumables are interchangeable with the original welding gun. 5. Ergonomic new handle makes operator to be relaxed and reduce fatigue strength.